Information provided to Breitbart Texas by Mexico’s Federal police revealed that the van-turned-cannon was discovered near the fence between Agua Prieta, Sonora, and Douglas, Arizona. The truck was discovered with the doors open and no license plates. 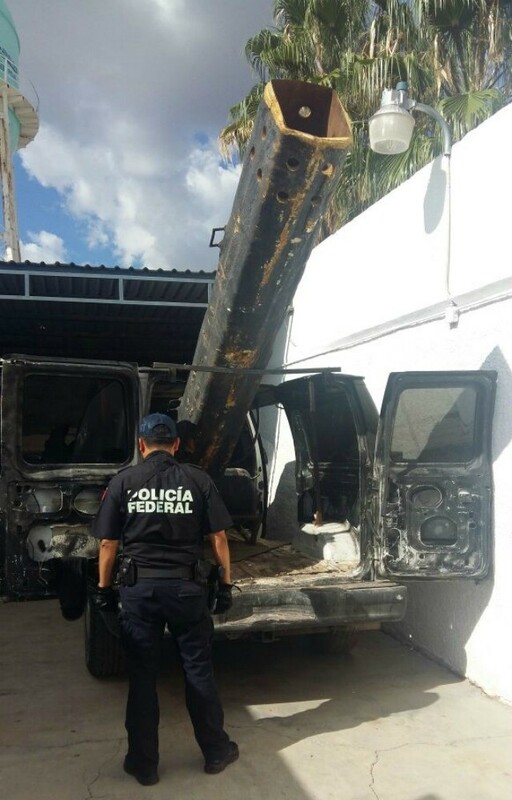 Mexican authorities were able to use the truck’s VIN to learn that the vehicle had been reported stolen in July from Hermosillo, Sonora. 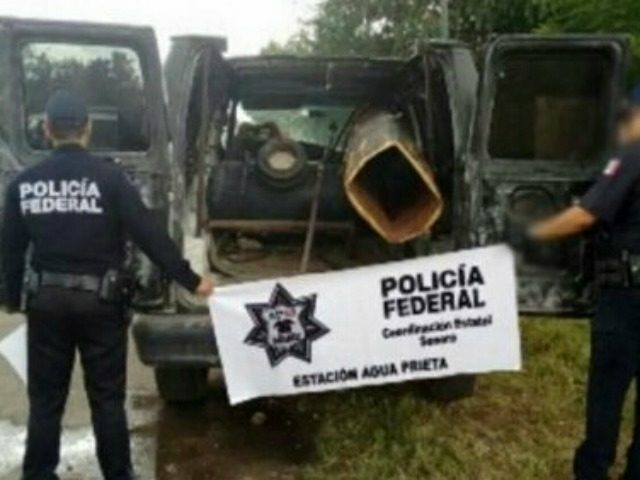 Police officers went inside the van and found a home-made air powered cannon that cartel smugglers appear to have been using to shoot marijuana bundles over the border fence. The cannon used a gas-powered pump to pressurize air to fire the smuggling tool. According to Mexican authorities, the cannon is able to fire packages over 200 yards away. The design is enough to get drug bundles over the border fence and into houses or neighborhoods on the Arizona side of the border. In the past, smugglers in that area have used drones, tunnels and catapults as some of the methods used to drugs over the fence. 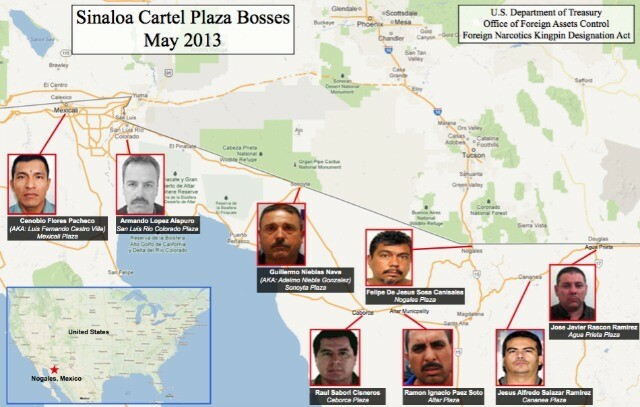 The state of Sonora is currently controlled by Mexico’s Sinaloa Cartel, the criminal organization run by the now famous Joaquin “El Chapo” Guzman. Court documents filed by the U.S. Department of Treasury in 2013 identify Jose Javier Rascon Ramirez as the local plaza boss in Agua Prieta. In recent months, the Sinaloa Cartel has undergone a series of conflicts and restructuring, it remains unclear is Rascon Ramirez continues to run the Agua Prieta plaza. Editor’s Note: Breitbart Texas traveled to the Mexican States of Tamaulipas, Coahuila and Nuevo León to recruit citizen journalists willing to risk their lives and expose the cartels silencing their communities. The writers would face certain death at the hands of the various cartels that operate in those areas including the Gulf Cartel and Los Zetas if a pseudonym were not used. Breitbart Texas’ Cartel Chronicles are published in both English and in their original Spanish. This article was written by Tony Aranda from Monterrey, Nuevo Leon and “J.M. Martinez” from Piedras Negras, Coahuila.